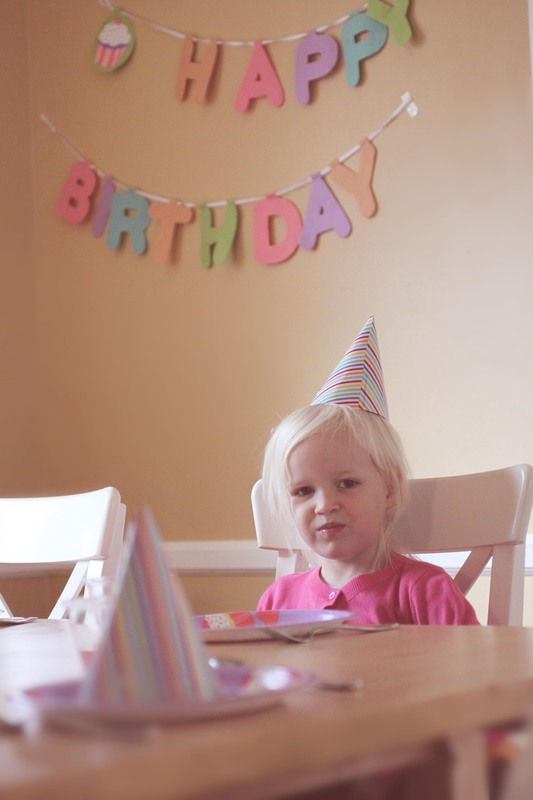 Eden turned four over the weekend, pushing the collected sum of our children’s ages into double digits. 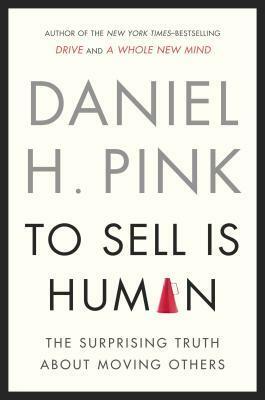 At first glance, To Sell Is Human: The Surprising Truth about Moving Others by Daniel H. Pink might seem like just another marketing book. Selling, in the broad sense, isn’t a realm monopolized by entrepreneurs and telemarketers; it’s something we all do in some form or another. And that is the “surprising truth” Pink seeks to elaborate through this book. Hana Kate is working on making her first book. I told her she could make it about anything she wants it to be. 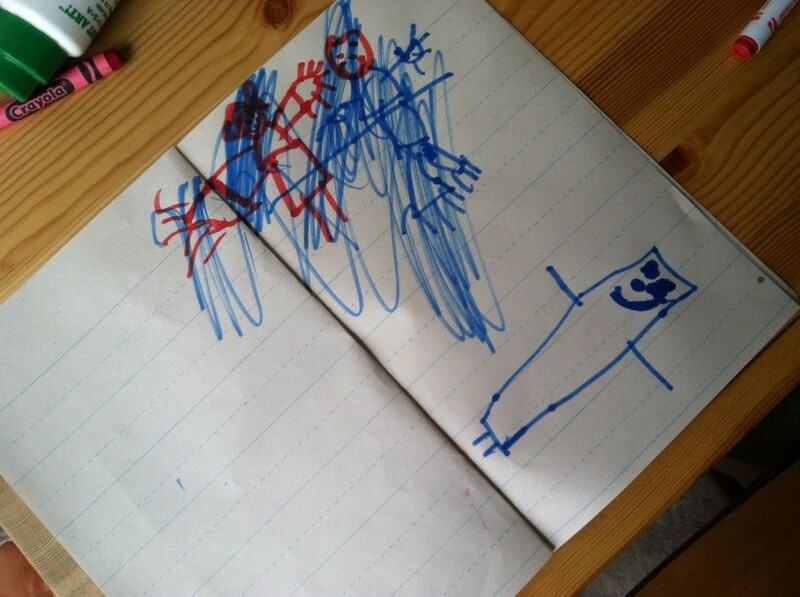 I left her upstairs drawing, and went to work on lunch. When she came downstairs for lunch, I asked her, “So, what is your story going to be about?” Her reply? “Butter.” While upstairs later on, I went and saw this: Awesome. A smiling stick of butter. But…?? And why the people crossed out at the top? Did the butter destroy them? Is this super butter? Well, it always helps to ask. (Plus, I happen to know that one of her ways of “erasing” what she perceives as mistakes is to cross things out.) So, I asked. Her response? “Well, you told me the picture was supposed to be about the story. So I crossed out the picture of Daddy and me cause I always draw pictures of Daddy and me and this is my story about butter.” I look forward to this story unfolding. Already, another, smaller stick of smiling butter has joined up alongside the other. Please look for a sequel release someday, Bacon. Here is a picture of the author participating in one of her hobbies, which has absolutely nothing to do with butter or bacon, nor does she resemble Paula Deen in any way, shape, or form. 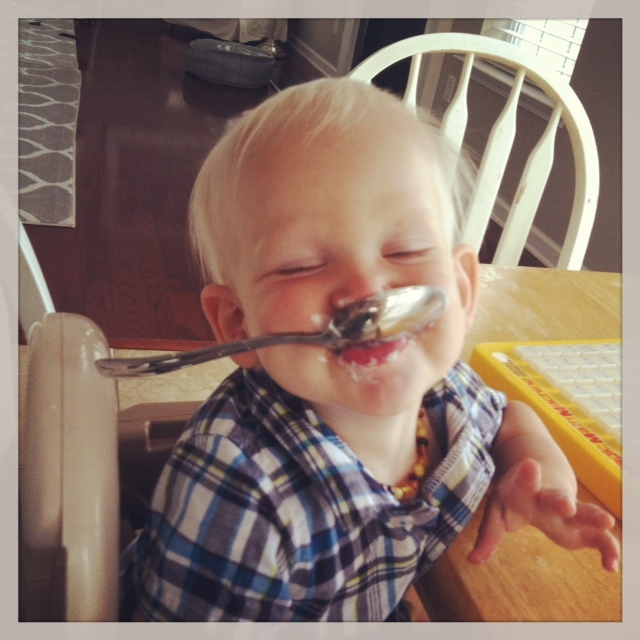 This is why I am laughing about half of each day. And then there is Justus, who, at last night’s special trip to a restaurant, squealed “Yay!” when the server brought us a bottle of ketchup and then proceeded to hug said bottle.